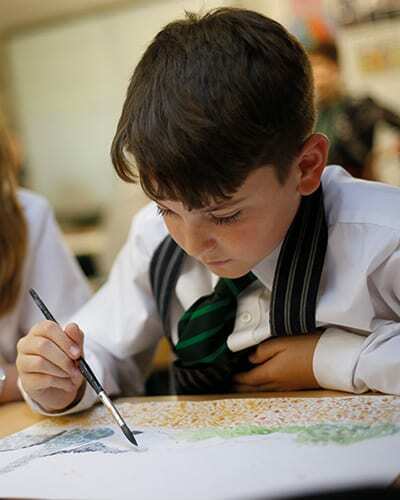 The Art Department is an experienced and compact department consisting of two very passionate teachers, who want all of their pupils to full fill their potential. We are very keen for all pupils to express themselves in a creative fashion and to build their confidence. Mrs Whitworth is the Head of Department and she is supported by Miss Moore. Art is currently taught from Year 7 onwards in the Senior School. Throughout KS3 we are keen for the students to experiment in a variety of techniques and develop their confidence in their artist creativity. It is important that basic skills of drawing and painting are covered in a variety of tasks throughout the KS3, effective use of shading, tone and colour are repeating themes to projects to develop skills further. In Year 7 the main focuses are colour, painting, and colour mixing. The pupil’s projects explore the work of Van Gogh and nature in art. In Year 8 the main focuses are application of effective mark making in a variety of creative ways and three-dimensional work. The pupil’s projects explore Henry Moore’s figurative sculptures and the art movement Cubism. Our aim is to encourage pupils to be passionate about art. In Year 9 the focus is based on exploring the Pop Art movement. Pupils are able to express themselves through bold and bright paintings. The pupils thoroughly enjoy researching and learning about the work of Andy Warhol and Roy Lichtenstein. All pupils are challenged to work independently by creating their own work in the style of Pop Art looking to the theme food. The year ends by exploring abstract art and looking into the work of artists such as Jackson Pollack and Willem de Kooning. The style of work produced and the pattern of tasks set are linked to a GCSE coursework project; this is to ensure a smooth transition for students taking the subject at GCSE. In Year 10 and 11 the students follow the Art Edexcel GCSE course. The coursework is worth 60% of the course and the exam component is worth 40%. In the coursework component the students create a portfolio of work showing a diverse set of skills, based on a variety of topics set by the department. For the exam component the exam board sets a theme for the students to follow and inspire their work. During a number of weeks of preparation the students plan out, practise and research potential final pieces to create during their 10 hour exam. In the Sixth Form, the department offers Art and Photography A Level courses. These run in a similar way to each other. The course is broken down to 60% coursework and 40% examination. The students create a variety of work inspired by their strengths and interests in the subject. As a department we are very keen for students to be inspired by their strengths in the subjects and any passions they many have. We feel that this helps enable students to produce their best possible work. For A Level Art, the focus is on developing skills in drawing, painting, printing and three-dimensional work. Students also work on creating a strong theme behind their work backed up with clear research. In A Level Photography, the focus is on learning how to take successful photographs, have an interesting theme and story behind the work and develop Photoshop skills. Both the Art and Photography A Level are supported with a research essay that links to the themes the students have been researching in the final year of the course during the coursework component. This is an important element to the course that enables our students to show their effective researching skills and thought process behind their work. We are keen that all students meet their full potential and so encourage KS3 pupils to attend a weekly Art Club to develop their creative ability. Examination groups are also encouraged to attend after school help sessions to develop their coursework projects and improve the quality of their work further. The department runs a number of trips throughout the year to develop student’s passion for the subject. We take yearly trips to the Yorkshire Sculpture Park, Bradford Media Museum, Salts Mill, and the York Art Gallery. We also take biennial trips to London and Paris for the A Level Art and Photography students. These trips have been invaluable for the examination classes and the research that is needed to support their coursework projects. The Biology Department consists of two Biologists and the Biology Lab technician. They have worked together for many years and are still enthusiastic about their subject, especially with all the new developments that are happening in Biology. Mr Watkin is the Head of Department and he is assisted by Mr Coulson. Mr Nelmes is the lab technician. Without him, it would not be possible to carry out the large amount of practical work that we do. In Year 9, we aim to cover the parts of Biology that have not been covered in Years 7 and 8. This allows students to make an informed choice about what Sciences they wish to study at GCSE. We cover topics such as Plant Biology, Ecology, Healthy Diet and Adaptations. The Adaptations topic includes a visit to Chester Zoo where we can see first-hand the things we have been studying in class. 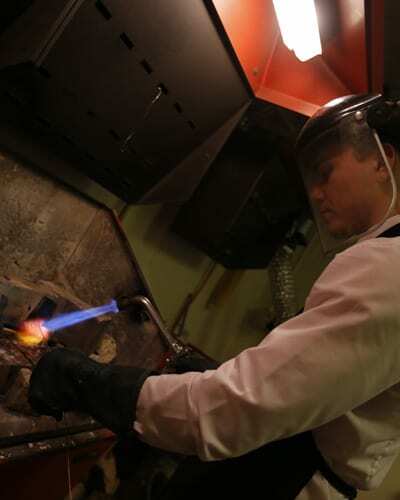 Practical work is an integral part of the course and we develop practical skills such as microscopy, investigative work and ecological study techniques. A Level Biology tends to be one of the most popular subjects. It builds on the knowledge of GCSE as well as introducing brand new topics. As at GCSE, there are 12 compulsory practicals to be carried out. Ibn addition, we aim to develop our students as good practical biologists. This involves carrying out a range of practical work such as dissection, microscopy, genetic engineering, gel electrophoresis, colourimetry, microbiology and much more. We also spend 3 days in the Yorkshire Dales Studying the flora and fauna of the region. Many of our students go on to study degrees related to Biology. We encourage them to learn more than just the requirements of the specification by: promoting reading the Biological Sciences Review, having a ‘Brain Day’ in conjunction with the Psychologists, where a leading neuroscientist speaks about the functioning of the nervous system, visiting conferences such as Education Live or the Royal Society of Biology Symposium to hear biologists discuss their work of by visiting a university laboratory to carry out work which is not possible in schools. Mr Bentley heads the Economics and Business Department and he is the sole teacher of the subject in the school. Business lessons start in Year 6, where they study various aspects of the subject, which culminates in the Fiver Challenge, where students are given a small amount of money to run their own stall for two days. This involves such skills as planning, marketing and finance, as well as being able to work in a team. In Years 10 and 11, we prepare students for the Edexcel GCSE courses in Business. This Business course covers a wide range of topics, including entrepreneurship, finance, marketing and human resources. It is assessed by two examinations, both of 1½ hours in length. Students need to be able to apply relevant business knowledge to given situations. 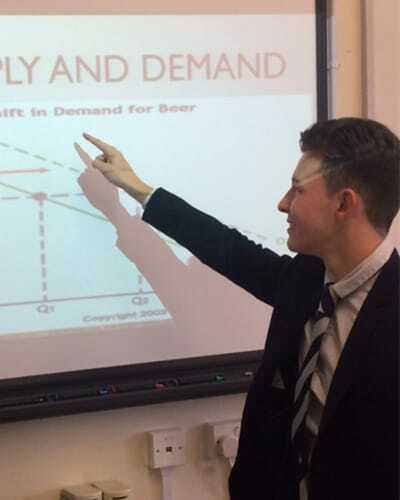 In the Sixth Form, Economics is one of the most popular chosen subjects. We follow the Edexcel Economics B syllabus, which combines both business and economics content. The course content includes supply and demand, external economic influences as well as business topics such as marketing and certain aspects of finance. It is assessed by three, two-hour examinations at the end of upper sixth. The final examination is based upon a research topic, which students must learn about in depth before the examination. 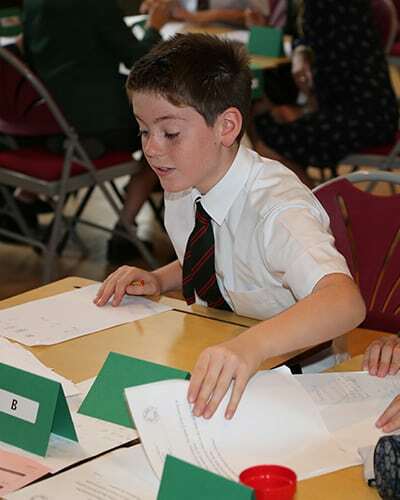 As a department, we also offer the chance to enter national competitions, in order to test student knowledge and skills against other schools. One such event is the BASE Accountancy completion, where student must analyse a failing business and suggest solutions to the problem. The Department comprises of two PhD qualified specialists, who are committed to sharing their own enthusiasm for and knowledge Chemistry of the subject, to students of all ages. Dr Wright is the Head of Department and he is assisted by Dr Grooby. The department has a full-time technician, Mr Cole, who was a teacher for 30 years. We study the Activate Science course in Year 6 and continue to do so throughout Years 7 and 8 as Maths, literacy and working scientifically are embedded throughout. This course helps develop skills necessary for studying Science at a higher level and students have a wide ranging heavily kinaesthetic learning experience. We see Year 9 as the beginning of the GCSE studies. We focus on introducing the students to the cope principles of Chemistry: Atomic Structure, appreciating the trends of the Periodic Table, and writing word and balancing symbol equations. Building upon and the refining of students practical skills gained in Years 6-8 is a key feature of the Year 9 course. In Years 10 and 11, we prepare students for the AQA course in Chemistry. It builds upon knowledge acquired in Year 9 and illustrates, for example, that a good understanding of Atomic Structure is at the key to understanding topics such as ionic bonding, electrochemistry and organic chemistry. The AQA course is examined by two papers, each testing a mixture of topics and practical skills that pupils have encountered through their 3 years of study. Various trips enrich topics studied throughout the course. 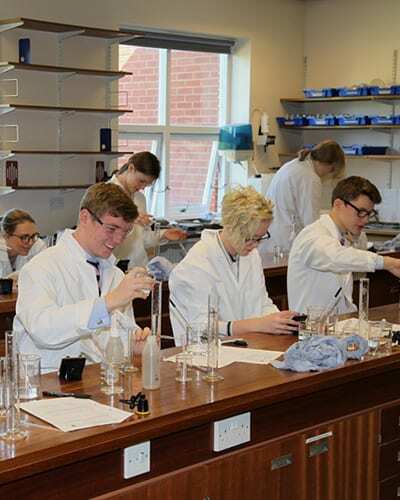 Chemistry is a popular choice at A level as it is a challenging yet fascinating subject. We study the AQA specification which incorporates Inorganic, Organic and Physical Chemistry in equal proportions. Investigating the kinetics of mechanisms involving organic molecules, learning about the reactions of transition metal complexes and solving challenging calculations allows students to develop a logical approach to problem solving as well as an ability to understand abstract principles. Many students combine their study at this level with A levels in Biology, Maths and Physics. A Level Chemistry is a requirement for university courses such as Medicine, Veterinary Science, Dentistry and Engineering. We aim to ensure that students seeking to pursue Chemistry, and/or courses that require Chemistry at University are well prepared for making their university applications by offering daily lunchtime help sessions. Dr Wright and Dr Grooby are experienced in preparing students for an Oxbridge interview. Annual STEM trips to Bradford University for organic and spectroscopy workshops enrich students’ academic and kinaesthetic learning experience. The Computer Science department comprises of two subject specialists, who are passionate about their subject. Mrs Eckersley is the Head of Department and she is assisted by Mr Russell. The Year 7 curriculum focuses on skills that can be transferred to other curriculum areas. For example, using word processors, spreadsheets and database software to present, query and organise data. Pupils are also taught file management skills and e-Safety is addressed. HTML code is introduced at a higher level with pupils being able to successfully produce their own websites. In Year 8, binary conversion, addition, subtraction and multiplication are taught along with the basics of hexadecimal conversion. Python programming language is introduced as are some of the more complex theory topics that pupils may come across during GCSE Computer Science. In Year 9, we focus on providing a transition to GCSE by returning to the Python programming environment and delving deeper into the theory side of the subject: for example, how networks are set up and the laws that a computer user must abide by. In Years 10 and 11, we prepare students for the OCR GCSE Computer Science course. 20% of the overall mark is awarded through the non-examined assessment, which is completed during Year 11. 80% of the course is examined through two written papers, one covering topics such as systems architecture, security and networking, and the other assesses computational thinking, algorithms and programming. We study the OCR Computer Science specification at A Level, which enables our students to gain a deeper understanding of the internal workings of a computer. There is an emphasis on problem solving, computer programming and algorithms, computational laws and processes and developing their own programming approach in the project which is worth 20% of the qualification. We offer further support to our exam year students by running regular workshops, both during lunchtime and after school. Programming club runs weekly and 1-2-1 help sessions can be organised when necessary. The DT Department has four full-time specialist teachers providing expertise in product design, resistant materials, graphics, CAD/CAM, electronic products and food technology. 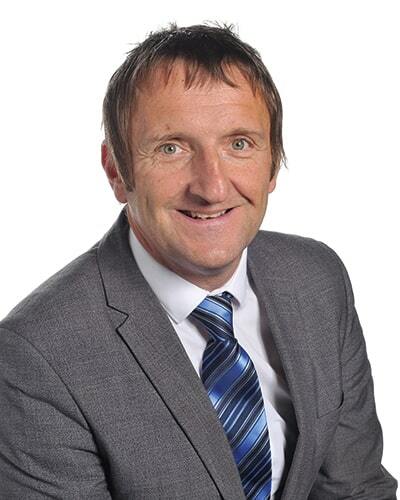 Mr Rowe is the Head of Department and is a senior assessor for the OCR exam board. Mr Mistry teaches GCSE and A level, as well as being Head of Sixth Form. Mrs Hoyland teaches all age groups and Ms Oxtoby teaches all areas in KS3 and is in charge of Food Preparation and Nutrition at KS4. Our full-time technician, Mr Gibson, supports the teaching staff and maintains the department to a high standard. The department is housed in five modern, purpose-built and well-resourced teaching areas. Two are open-plan and are used mainly for resistant materials. The third is a multi-purpose facility for electronics, CAD and graphics. The fourth room is dedicated to CAD/CAM and the fifth is our new Food room next to the Library. In Years 7 and 8, we provide a course of study that builds up a resource bank of specific knowledge and skills, which encourages the pupils to question the world around them, form ideas and then thoughtfully develop these ideas into concrete proposals. ​This programme is taught through designing and making assignments that incorporate product evaluation activities and focused practical tasks. The year is divided into four blocks, two in the resistant materials workshops, one in the food room and one in the CAD/CAM room. The pupils rotate through each of these blocks spending 8 weeks on a variety of food, CAD/CAM and resistant material based projects. In Year 9, pupils continue to rotate through projects that last eight weeks but the projects themselves become more open and context driven to prepare them for more independent work at GCSE. Moving again from teacher to teacher, they gain more specialist skills in RMT, Product Design and Food with a fourth unit that focuses solely on improving their design communication skills. In Years 10 and 11, Design and Technology is an optional subject and pupils are entered for either OCR Design & Technology or OCR Food Preparation and Nutrition. However, several pupils do select both options. In Design & Technology, pupils spend Year 10 working through a variety of mini projects designed to equip them with the skills and knowledge to successfully tackle a context driven design problem in year 11 and an end of year exam (each worth 50%). In Food Preparation and Nutrition, pupils explore a broad series of topics and complete a range of investigations to prepare them for their NEA tasks and written exam. Visiting speakers and trips to local companies are a core ingredient to both courses. Product Design is always a popular choice at A level. In Year 12, we focus on developing the three essential skills of investigating, sketching and modelling. Whilst doing this, students complete two independent design projects of their own choosing. The first is a re-development of an existing product, the second is to develop a completely new and innovative product of their own design. Each idea has to be presented to a panel of judges. The department makes extensive use of technology to help support and guide their teaching, from using iPads for markbooks to using online services, such as OneDrive and Edmodo, to share resources and to set and grade assignments. A healthy number of students go on to study design-related disciplines at university and we help them put together a design portfolio and support them with mock interviews. The English Department is an enthusiastic group of subject specialists who are committed to sharing their passion for language and literature. Mr Wardle is the Head of Department; he runs the Debating Society and has worked as an external examiner for IGCSE and A Level. In addition to teaching English, Mrs Conlon and Miss Nicholls are often at the forefront of school drama productions. In fact, the Department are proud to have their own fully-equipped Drama Studio, to which English teachers regularly take their classes in order to explore classroom topics from dramatic perspectives. Our approach to English in Years 7 and 8 is first of all to foster pupils’ enjoyment of the subject through a variety of engaging topics and books, and then, through these, to teach the wide range of writing and reading skills that will ensure success at IGCSE. Year 7 topics include gothic literature and an advertising project and Year 8 topics include crime and conflict literature, as well as ‘Shakespeare on Trial’, which brings one of Shakespeare’s plays to life by turning the classroom into a courtroom and putting one of the main characters in the dock. Library lessons, in addition to our Reading Journal homework booklets, encourage pupils to develop a love of reading widely for pleasure, and lessons focused on analysis skills enable pupils to dissect and interpret the work of a wide range of authors. We promote pupils’ development into creative and highly-skilled writers, secure in the key areas of narrative, persuasive and descriptive writing. Speaking and Listening topics, such as a Dragons’ Den pitch for a new phone app, foster the key skills which help pupils to develop into confident and engaging speakers. In Year 9, we focus on providing an effective transition to IGCSE by introducing more challenging topics, books and assessments. To prepare for the rigours of the IGCSE English Literature course, pupils study an anthology of short stories from the past 200 years as well as an IGCSE-level drama text such as A View from the Bridge by Arthur Miller. 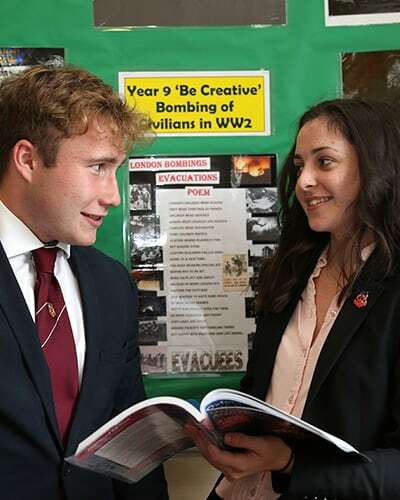 To continue to develop the skills for the IGCSE English Language qualification, pupils consolidate their skills of narrative, persuasive and descriptive writing, and they also undertake a detailed project about a controversial current affairs topic. In Years 10 and 11, we prepare students for the Cambridge IGCSE courses in English Language and English Literature. The English Language qualification includes coursework that requires students to produce a range of high-quality written pieces, often based on key descriptive, narrative and persuasive skills. We prepare students for the exam by teaching a range of reading skills including summary and language analysis. For the IGCSE English Literature course, students study a variety of texts, some for coursework and some for exams. Through texts such as The History Boys by Alan Bennett and The Crucible by Arthur Miller, we foster students’ skills of analysis, interpretation and personal response. English Literature is a popular choice at A level. We study the AQA Specification B course, which focuses on genres such as comedy and political protest writing. Students enjoy the wide range of texts on offer, such as The Kite Runner, The Handmaid’s Tale and The Importance of Being Earnest. An introductory series of lessons, ‘Literary History’, gives students a fascinating overview of the whole of English Literature, and a Wider Reading project inspires students to read beyond the curriculum in order to develop the breadth of their subject knowledge. The English Department offers a wide range of extra-curricular opportunities. English teachers are often closely involved with school drama productions, and theatre trips foster pupils’ understanding and enjoyment of literary texts. 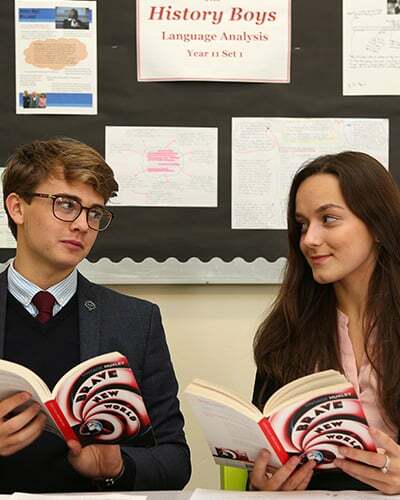 The Paired Reading scheme sees Sixth Formers paired with selected Middle School pupils to work one-to-one on key reading skills, and a weekly ‘English Help’ drop-in session gives the opportunity for all pupils to receive extra support. The Debating Society meets for weekly debates and also has a track record of success in competitions, such as reaching the national final of the Winston Churchill Public Speaking Competition for Schools. House Debating and House Public Speaking competitions ensure that a wide range of pupils are given a forum to speak persuasively and passionately. Our pupils also enjoy entering a variety of writing competitions, such as the BBC Radio 2 Short Story competition and our own Middle School poetry competition. The Geography Department comprises of two subject specialists, who are both passionate Geographers and experienced teachers. Both are experts in all types of Geography but Mr Falloon, the Head of Department, prefers Human and Mrs Emmett Physical Geography. Starting in Year 7, and continuing throughout Year 8, we follow a broad curriculum looking at a wide range of topics including Africa, Rivers and Urbanisation. Lessons are designed to be interactive and bring the complexity of the world into the classroom through innovative learning strategies. Fieldtrips are essential to understanding geography and trips are organised to explore our region including Yorkshire’s east coast and the Yorkshire Dales. In Year 9, we continue the preparations for GCSE study and assessments are designed to prepare students for the demands of GCSE style questions. We study topics that will be included in the GCSE including Hazards such as volcanoes and earthquakes and Development giving students a taste of what they will be studying in Years 10 and 11 should they choose Geography. We study the AQA GCSE course. Students are expected to study a wide range of topics as well as demonstrate their geographical skills and decision making. There are three exams taken at the end of the course all of which we spend time preparing for with topic tests and mock exams. Paper 1 (35%) 1 hour 30 minutes: Living with the physical environment. Paper 2 (35%) 1 hour 30 minutes: Challenges in the human environment. 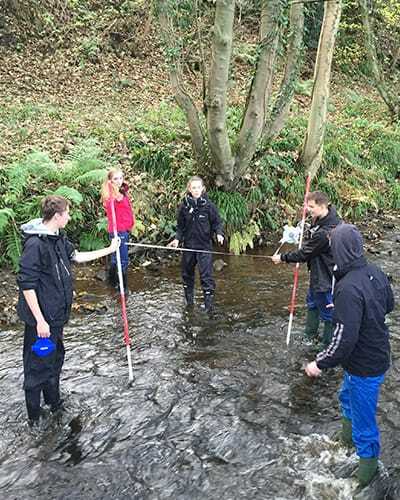 We carry out a fieldtrip to the River Tees to learn the skills that will be assessed in this exam. There is also a pre released booklet about an issue which students receive 12 weeks before the exam to enable them to prepare. For A level, we study the AQA specification, which has two exams, one physical and one human. There is also an independent investigation worth 20% of the final A level which the students plan and carry out themselves. Six key topics are studied through the course; Hazards, Glaciation, Water and Carbon Cycles, Changing Places, Urbanisation and Globalisation. Field trips are offered and, currently in Year 12, students get the opportunity to visit and study Amsterdam. Teaching continues to use innovative learning strategies and group work at A level to ensure that students don’t just learn but also understand the content of the course. As a department, we strive to encourage students to consider the world that they live in and to provide them with the knowledge, skills and understanding to thrive in it. We are adaptable and lessons will shift focus if world events provide new opportunities for learning. The Government and Politics Department is led by Mr Verinder. The prerequisite for studying Government and Politics is that students have a passionate interest in current affairs and enjoy thinking about and discussing politics and politicians. In Year 12, students study British Government and Politics. We begin by looking at the health or otherwise of democracy in the UK. We move on to political parties, using up-to-date manifestos to study divisions within and between them. Students examine voting behaviour in the UK and debate whether we should change the voting system. ‘Politics Review’ magazine is a helpful tool to keep on top of current events. Students then move on to study UK Government. Parliament, prime ministerial power, the constitution and the judiciary are key areas of study. In Year 13, we begin with a study of political ideologies, such as socialism, conservatism, liberalism, feminism and anarchism. We then compare and contrast the UK and US systems. Are presidents more powerful than prime ministers? How does Congress differ from the UK Parliament? How does a Federal system differ from a Unitary system? It is important that students become aware of ‘The Washington Post’ and MSNBC, amongst others, to help with an understanding of the US system. Government and Politics encourages students to evaluate the key political debates and make judgements. 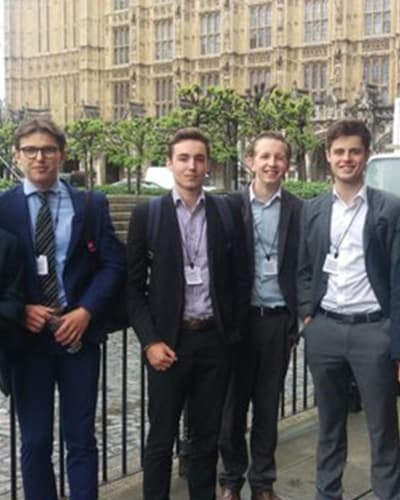 Outside of the classroom, the department has contacts with local MPs and visit constituency offices and Parliament. Students attend lecture days in Manchester and London to help with revision leading up to the examination. We run our own ‘Question Time’ at Silcoates, where students are encouraged to contribute their own ideas to the evening. The History Department at Silcoates School is convinced of the value of studying History for all students. We strive to stimulate their interests through engaging lessons, develop their skills through constructive and comprehensive assessment and enable them experience History outside the classroom with a programme of enrichment activities across all year groups. We are an experienced and dynamic staff who specialise in a wide range of subject areas within the discipline. The department is led by Mrs Everingham and she is supported by Mr Verinder and Mr Austin. In Year 7, pupils begin by studying Medieval British history from 1066 to 1485. In Year 8, our study of British history continues with the Tudors, the English Civil War, the rule of Oliver Cromwell and the Restoration. During these two years, pupils are encouraged to use an increasing variety of source material and to think about events from multiple viewpoints, considering the political, social and economic factors involved. We also incorporate the study of non-British history when we look at the Atlantic Slave Trade and the French Revolution. In Year 9, we focus on equipping our students for GCSE through consolidating their historical skill set and exploring some of the key issues that faced the world in the 20th century. We particularly focus on higher order thinking skills such as analysis and evaluation in relation to source material and conflicting interpretations. Our key topic areas are the Western Front, the changing nature of warfare in WWII and the Holocaust. In Years 10 and 11, we follow the Edexcel IGCSE course, looking at issues of racism, conflict and dictatorship. It is a Twentieth Century-based course that explores some of the “ifs” and “buts” which makes the study of History what it is. It is examined through 2 papers. Paper 1 comprises of two depth studies; Germany, 1918-1945 and Civil Rights in the USA 1945-74. Paper 2 comprises of an investigation into the origins and course of the First World War and a breadth study of the Middle East 1917-2012. It is a very worthwhile and enjoyable course in which students further develop skills of critical analysis, oral and written argument and many more. A key highlight is the WWI Battlefields Trip to France and Belgium which allows many students to engage in their own family history and learn about the Old Silcoatians who also served their country. A Level History at Silcoates aims to offer a broad historical education which will challenge students intellectually and further develop their historical skills. We follow the AQA specification and the overall theme of our course is revolution, conflict and change. Students will explore notions of monarchy, authority, dictatorship, enlightenment and political, social, economic and foreign relations across a variety of time periods and countries. This enables students to gain a mature, analytical understanding of the discipline of History as well as consider the thematic and conceptual links that are present in, and relevant to, so many areas of historical study. The course comprises of two exam based units (a breath study and a depth study) and a 3,500 word historical investigation. The breath study explores the Tudors, 1485 to 1603 and the depth study explores France in Revolution, 1774 to 1815. The historical investigation in based on around the topic of ‘Russia from the Tsars to dictatorship, 1855 to 1953’ and within that students have a free choice of question. Our classroom-based learning at A Level is further enhanced through two study trips to Paris and London. As a department, we pride ourselves on engaging and encouraging our students to explore History both inside and outside of the classroom. As well as our residential study trips to the WWI Battlefields, Paris and London, we also facilitate student involvement in the annual ‘Lessons from Auschwitz’ programme and have established links with local universities welcoming their academics to Silcoates to speak. We offer regular and targeted support for students of all abilities, as well as KS3 and KS4 book groups and, where possible, day trips to local places of historical interest, evening trips to the theatre and revision lecture days. Mrs Coll, Head of Latin, is a very experienced subject specialist, who is committed to sharing her enthusiasm for Latin. Starting in Year 8, our most able pupils are given the opportunity to study Latin as an extra subject, over and beyond the main curriculum. In Years 8 and 9, the focus is on vocabulary acquisition and the foundations of grammar, especially conjugations and declensions, beginning with single words and building up to more complex sentence structures. The emphasis is on team work and personal challenge, developing critical thinking skills through translation and comprehension. In Years 10 and 11, the students are prepared for OCR GCSE in Latin. The final exam consists of three papers, one language and two literature. The language paper is worth 50% of the overall marks. In Year 10, the students continue to extend their knowledge of Latin grammatical structures and master the vocabulary needed for the GCSE and its application. They also study the Prose literature set texts, which they find daunting at first but then find extremely enjoyable, as they are working with original Latin texts. In Year 11, the emphasis is on exam practice and on studying the Verse literature, which is always part of Virgil’s Aeneid, that most classic of Latin texts. Latin is a highly regarded A Level choice. Students follow the OCR specification. They build their knowledge of vocabulary and linguistic structures through reading and studying prose and verse texts in Latin from a range of authors. Two prose literature set texts are studied in depth and two verse texts. Students of Latin have gone on to read medicine, philosophy and classics at university. Latin is a good choice for any able student and combines well with any discipline. Outside the classroom, there is an annual Latin reading competition at Leeds University. In collaboration with a state school, a visiting professor from Manchester University is welcomed to an annual Latin Forum at Silcoates during the Summer Term. This is enjoyed by everyone studying Latin at the school. The Mathematics Department comprises a close-knit group of five subject specialists, who are committed to sharing their own enthusiasm for the subject, to students of all ages. Mr Hugill is the Head of Department, and he is assisted by Mrs Dews, Mr Jeanes, Miss Reynolds and Mrs Townsend. Starting in Year 6, and continuing throughout Years 7 and 8, we focus on consolidating and building upon key mathematical skills and techniques, as well as promoting problem solving skills through the implementation of levelled extension tasks. The daily lunchtime maths help sessions are central to help support and reinforce our pupils’ learning, when they have struggled to grasp a particular topic at the first time of trying. We try to develop our pupils’ interest in the subject through the UKMT Mathematics challenges for our top set pupils and a visit to Doncaster Racecourse in Year 7 for other pupils to see some real life applications of Mathematics. In Year 9, we see this as the beginning of pupils’ IGCSE studies, with new more advanced topics being introduced and a focus on providing a transition to IGCSE by incorporating exam style questions, including those focussing on Quality of Written Communication. In Years 10 and 11, we prepare students for the Edexcel IGCSE course in Mathematics. This course is examined through two calculator papers, each testing a mixture of topics and skills that pupils have encountered through their 5 years of study. Bottom sets are expected to be entered for the Foundation tier, with all other pupils being entered for the Higher tier. Mathematics is a popular choice at A level. We study the OCR specification, which requires our students to study topics covering the Pure, Statistics and Mechanics branches of Mathematics. Many students combine their study at this level with A levels in Chemistry, Physics, Biology and Geography. Further Mathematics is also available to those students with a real passion for maths, where students will further develop their understanding of Pure Mathematics and can either choose to study Statistics and Mechanics to a higher level or broaden their mathematical knowledge with Discrete Mathematics. We ensure that students seeking to pursue Mathematics beyond School are very well prepared for making their university applications, through regular help sessions, entrance in the UKMT Senior Team Challenge and our biennial Maths Inspiration trip which is an ideal way for students to see how the maths they are doing at school links to exciting applications in the real world. The MFL Department comprises very experienced subject specialists, who take pleasure in passing on their love of languages to pupils of all ages. Mrs McKay is the Head of Department and she is assisted by Mrs Coll, who is also Head of Latin, Mrs McManus and Mrs Zambrano. Acquisition of a modern foreign language at Silcoates school begins with delivery by subject specialists in Year 3 right through to Year 13. Currently, pupils begin their language learning journey with the introduction of French. The emphasis in the lower years is on learning through song, role-play and language games. Languages are brought to life within the classroom and beyond through lively, engaging and challenging activities, involving cooperative learning and opportunities to apply this learning in real life situations. Learning languages at Silcoates enables pupils to develop their listening, speaking, reading and writing skills and to express themselves with increasing confidence, independence and creativity. They enjoy gaining an insight into other countries, cultures and communities, which in turn gives them a different perspective and deeper insight into their own language, culture and society. The department is resource rich with both written and electronic materials. All learners have access to on-line subscriptions. In Year 7, the second language, German, is introduced and runs concurrently with French. In both languages, the foundations of grammar are introduced and reinforced. 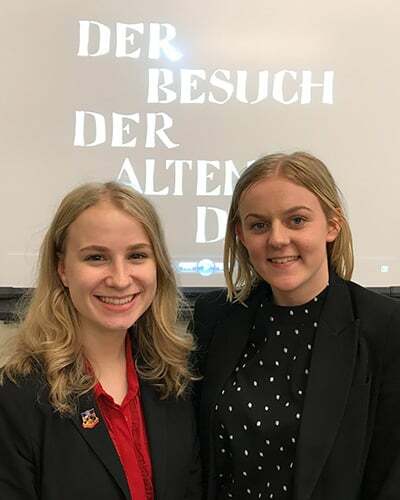 The majority of pupils study both French and German throughout Years 7 and 8, gaining the enthusiasm, skills and knowledge, which will provide a solid foundation for future study to GCSE and A Level. By the end of Year 9, pupils are well prepared for the start of GCSE. In Years 10 and 11, students embark on the AQA GCSE specification. Silcoates students are privileged to benefit from regular one to one and small group contact with native speakers. The department’s objective is to enable students to develop their language skills to their full potential, equipping them with the knowledge to communicate in a variety of contexts with confidence. The skills of listening, speaking, reading and writing all carry equal weighting in the final examination, covering the three main themes of identity and culture, local, national, international and global areas of interest, and current and future study and employment. A MFL A Level is a well-regarded qualification within both the world of work and with higher education establishments. AQA is the chosen specification for A Level languages and allows a seamless transition from GCSE. The stimulating content enables students to develop their linguistic skills alongside their understanding of the culture and society of target language countries. Students’ oral competence and confidence is greatly enhanced due to their weekly contact with a foreign language assistant. The overarching themes are social issues and trends and political and artistic culture. One film and one set text are studied during the course and these, together with the independent research project, are assessed in the terminal examinations. Listening, reading, writing and speaking are the four skills assessed. The European Day of Languages is always a big event throughout the school. Junior school students enjoy a “drop-down” day where a wide range of cross-curricular events take place based on a particular European country. The Senior School students are greeted by their teachers in a wide range of different languages, a European themed menu is served in the dining room with quizzes and a European-themed assembly. Students regularly participate in various food-tasting activities, watch French and German Society film screenings, as well as playing lunchtime pétanque during the summer term. Year 7 and 8 students are offered a study visit to Normandy and KS3 students are given the opportunity to practise their French during the Ardeche visit. The school also has an exchange partner in Stegen near Freiburg in German. A Level students are encourage to arrange work experience in the target language speaking countries. The Music Department comprises a small group of curriculum specialists and a large team of instrumental/vocal teachers. Miss Hoare is the Head of Department, and teaches curriculum music to Year 8 and above. Children in the Junior School are taught by primary music specialists Ms Jones (Years 1 & 2), Mr Wears (Years 3 & 4) and Mr Trotter (Years 5 & 6). Miss Wang, our Graduate Music Assistant, teaches pupils in Year 7. Our team of Visiting Music Teachers comprises Mrs Bird (upper strings), Mr Hall (singing and organ), Mr Hoyle (brass), Mr Keeble (percussion), Mr Pearce (guitar), Mrs Platt (woodwind), Mrs Rigby (piano and clarinet), Mr Roberts (brass), Ms Stacey (singing), Mr Wears (piano and keyboard), Mrs White (piano) and Mrs Worboys-Hodgson (lower strings and singing). VMTs prepare children for graded music examinations for all boards, including ABRSM, Trinity, LCM and Trinity Rock & Pop. Examinations are usually held in the familiar setting of the Music School. After school theory tuition is also available for students aspiring to complete ABRSM theory exams. Music lessons for Junior School children are practical, with an emphasis on singing, performing and composing. Children learn to recognise and work with the Elements of Music, starting with pulse in Reception and building awareness of Pitch, Tempo, Dynamics and other elements over time. Children develop skills by working in small groups and through whole class performances, and there are many opportunities to showcase their work in assemblies and concerts. All children have the opportunity to experience learning at least one musical instrument, often in small groups or pairs. Currently all Year 3 pupils receive half a term of violin lessons, and Year 4 pupils have the opportunity to learn a woodwind or brass instrument as well as the keyboard. Children showing promise on any of these instruments are encouraged to take individual lessons. On Thursday afternoons the whole Junior School participates in an extra music session, with children organised in mixed year groups experiencing activities such as drumming, singing songs from the West End, playing boomwhackers or tuned percussion, or moving to the beat. In the Middle School, the music curriculum is mostly practical, focusing on the key elements of Performing, Composing and Listening and Appraising. Pupils who learn musical instruments are encouraged to play these in group and whole class activities, and all students receive basic instruction in keyboard skills. Gamelan (Year 7), Indian Classical Music (Year 8) and Caribbean Calypso/Reggae (Year 9). Students are taught the basics of music theory and learn to use Garage Band and Sibelius in our dedicated Music Mac suite. In Years 10 and 11, we prepare students for the Edexcel GCSE course in Music. 60% of the course is Non-Examined Assessment, comprising Performance (30%) and Composition (30%), both of which are completed in Year 11. The examined part of the course (40%) comprises a listening and appraising exam, which tests knowledge and understanding of set works, and musical language and appraising skills of unfamiliar music. Students taking GCSE Music are expected to have instrumental or vocal lessons in or out of school and should have reached grade 4 standard by Year 11. At A Level, we study the Edexcel specification, which follows a similar model to GCSE. Students are required to present a recital on their instrument/voice, which may include solo and/or ensemble pieces (30%), and submit 2 compositions demonstrating technical skill and creativity (30%). A collection of 18 set works forms the basis for developing knowledge and understanding of music history, genres and traditions, though students are expected to listen to a wide range of other pieces. The listening and appraising exam (40%) features extracts from set works and unfamiliar pieces as well as aural dictation questions. 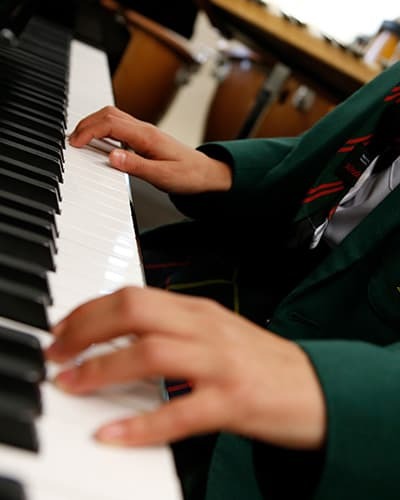 Students taking A Level Music are expected to have instrumental or vocal lessons in or out of school and should have reached grade 7 standard by Year 13. The PE Department comprises of five subject specialists, who are committed to sharing their own enthusiasm for the subject, to students of all ages. Miss Peach is Head of PE and Mr Potter is Head of Games. They are assisted by Miss Nuttall, Mr Roberts (who is in charge of rugby and cricket) and Miss Knowles (who is in charge of netball). The PE Department delivers PE and Games lessons to Year 3 upwards. The main emphasis is on developing competence and confidence in a range of physical activities. Children have PE lessons in the morning and games lessons in the afternoon. PE lessons comprise of activities such as swimming, gymnastics, fundamental motor skills, small sided games, short tennis and athletics. The major team games of hockey, rugby, netball, cricket and rounders are covered in games lessons. It is during these games lessons that the bulk of the competitive sports fixture take place. From Year 7, the PE/Games organisation is similar to that in the Junior School where PE lessons take place in the mornings and Games lessons are in the afternoon. The main difference with sports fixtures is that these now take place on Saturday mornings in the main although there are some mid-week fixtures for some sports. From Year 7 to Year 9, pupils build on the skills they have learnt previously. The aim is to refine and adapt these skills, develop a greater range of skills and develop greater precision, control and fluency of these skills. Greater tactical knowledge is developed as well as an awareness of how to practise to improve performance. A knowledge of how to exercise both for general health as well as increased physical performance is also addressed as well as an ability to analyse their own and other student’s performance. PE lessons cover the following: swimming, gymnastics, basketball, badminton, weight training, circuit training and athletics. Hockey, rugby, netball, cricket, tennis and rounders are the main activities in Games lessons. PE is a popular choice at GCSE and pupils embarking on this course should already have a strong track record in practical performance. We study the OCR specification which comprises of 60% theory and 40% practical. The theory has two components each of which are examined in two written papers: Paper 1 covers the Anatomy and physiology and Physical training whereas Sports Psychology, Socio-cultural influences and Health, fitness and well-being are covered in Paper 2. For the practical, performance of three activities are taken from two approved lists (individual, team and the third from either list). Students also produce a written coursework task on performance analysis in their main sport. It is highly desirable that students are active members of school teams or are involved in their chosen physical activities on a regular basis outside school. We also study the OCR specification at A Level. Theory (70%) has three components each examined in three written papers. Paper 1 covers Anatomy and Physiology, Exercise Physiology and Biomechanics; Paper 2 covers Skill Acquisition and Sports Psychology; Paper 2 covers Sport and Society and Contemporary Issues. For the practical (30%), students are assessed in one activity from the approved list and also take part in an oral exam in which they analyse performance in a chosen physical activity. As with the GCSE, students should already have achieved high level of performance in their chosen practical activity and would be expected to be actively involved in this activity on a regular basis. Many students combine their study at this level with A levels in Biology and Psychology. The PE Department offers many opportunities for students to pursue physical activities outside the classroom. Sports tours for the senior age groups compliment the busy fixture programme and give the younger students something to aspire towards. The annual ski trip at Christmas is always very popular. Outside of the school fixture programme, the PE Department also run numerous House sporting events which provide opportunities for students to be involved in some ‘friendly’ rivalry! 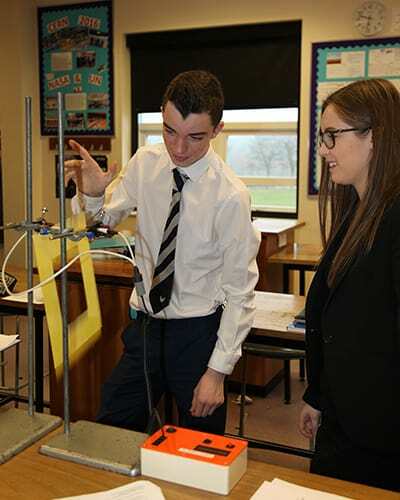 The Physics department has two full-time Physics specialists, Mr Hutson and Mrs Robson, both of whom are passionate about enthusing students about Physics. Mr Hutson is the Head of Department. In Years 6, 7 and 8, pupils are taught a combined Science course, comprising elements from all three Sciences. There is a strong focus on using practical work and investigative approaches to help reinforce learning. In Years 7 and 8, pupils study the ‘Activate Science’ scheme of work. Pupils are always fascinated to learn about space and a highlight of Year 7 for many students is the trip to the National Space Centre in Leicester. 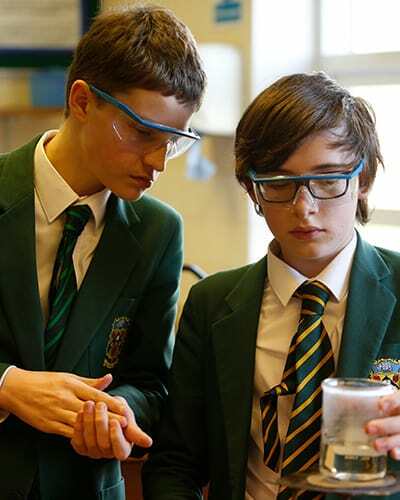 In Year 9, students are split into separate sciences and are taught by a subject specialist from each science. The Year 9 Physics course is designed to give students a sound foundation for GCSE Physics and to give them a good appreciation of what studying GCSE Physics entails. This ensures that students are well prepared and able to make an informed decision about which sciences to study at GCSE. Physics in Year 9 has a higher mathematical content than in previous years. In Years 10 and 11, we prepare students for the AQA GCSE Physics exams. The course involves a mixture of practical work and theory, with all assessment being done by examination. The course includes the classical Physics topics such as forces, energy and waves, as well as more modern topics such as space and nuclear physics. Students need to understand key concepts and apply them to unfamiliar situations. We are keen to ensure that students appreciate the relevance of their studies and can apply their learning to the world around them. We expect students to start to take greater responsibility for their own work at this level, and in addition to text books and homework books, we provide revision guides and work books for independent study. Students are expected to seek help at regular lunch-time help sessions. At A Level, we follow the OCR Physics A specification. Teaching is split between the two Physics teachers, with each focussing on their specific areas of expertise. Practical work forms a significant part of the course and is interwoven throughout. Assessment of the Practical Endorsement is by teachers throughout the course. All other assessment is via examination at the end of the two-year course. A Level Physics is a fascinating subject requiring good numeracy and the ability to be able to visualise abstract concepts. The course covers a wide variety of Physics topics including forces, motion, materials, electricity, waves, quantum physics, particle physics, cosmology, nuclear physics and medical physics. We believe strongly in the value of external trips and visits to allow students to contextualise their studies. We organise trips for most year groups although the highlight for A-level students is our biannual visit to the Large Hadron Collider at CERN in Geneva. Mrs Robson and Mr Hutson both share their Physics interests with students through school clubs. Mrs Robson runs an Astronomy club for interested students during the winter months when the skies are darkest. Mr Hutson runs the robotics club for students in Year 8 and above to make electronic circuits and use them to make programmable robots. The Psychology department comprises of Mr Sprott, the Head of Psychology, and Mr Coll. Both teachers have taught A Level Psychology for over fifteen years and have a wealth of experience, enthusiasm and resources to engage the current students. 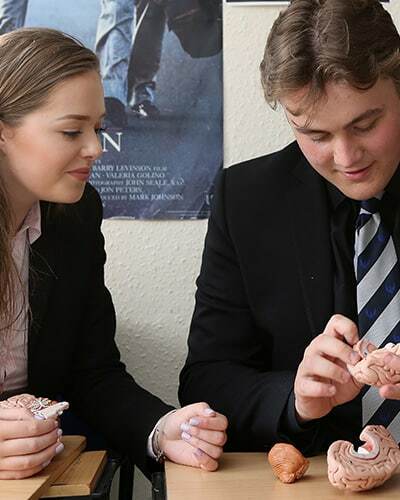 A Level Psychology is one of the most popular choices at Silcoates, with approximately a third of all students opting for Psychology over the past ten years. The department takes significant steps to help the students with their organisational skills and their files are set up on the first day, with everything they need for the two year course. All their work is written in pre-prepared booklets, with activities, book references and ideas for independent research. Psychology requires students to draw upon their own experiences and beliefs about behaviour and as a result, there is a great deal of discussion opportunities on the course. Students are also encouraged to conduct practical psychology studies themselves to appreciate the research process. The A Level is assessed with three examinations at the end of Year 13. The department also offers enrichment activities with guest speakers from the prison service and clinical Psychology visiting the school annually to discuss applied psychology. The department has high expectations regarding minimum standards in order to nurture a work ethic that is going to allow success at university. Independent research skills and revision skills are also taught and encouraged. The Religious Studies Department consists of three subject specialists who are committed to enabling students to discuss and think about some of the most complex questions that have faced humanity throughout the ages. Mr Affleck is the Head of Religious Studies and he is assisted by Dr Green and Ms Marsh. In Year 6, the pupils begin by examining some of the key features of a religion, such as Places of Worship and Holy Books. This allows the students to understand some of the commonalities of religious practice before they delve into six major world religions in Years 7 and 8. Here they examine each religion in depth, including such activities as creating modern versions of Jesus’ Parables and creating tour brochures for the Hajj. This allows the students to understand the key beliefs and practices that underpin each religion. In Year 9, the students began to examine the ‘Big Questions’ that religions have tried to answer over the years. This includes issues such as why the Abrahamic God would allow evil to exist in the world, what happens after death and how religious belief can lead to extremist ideas. The pupils use the knowledge gained from the Year 7 and 8 course to investigate how different groups have tackled these questions. 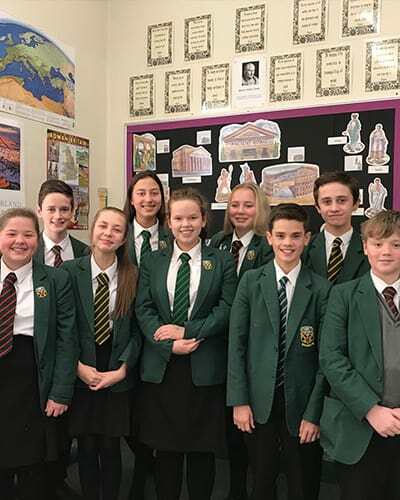 In Years 10 and 11, students are prepared for the AQA course, focusing on Christianity and Buddhism to explore four different themes – Conflict, Families, Life and the Existence of God. The course is examined by two papers set at the end of the course, which asks students to show their knowledge and understanding of the different topics as well as analysing different answers to the issues raised within the themes. At A Level, students follow the AQA specification, furthering their knowledge of Buddhism, Philosophy and Ethics. They examine some of the greatest thinkers of all time, critiquing and discussing their views in depth. The course is examined by two papers – one on Philosophy and Ethics and the other on Buddhism and the Dialogues between the two subjects at the end of the course. The department strives to ensure two main goals; that students are taught about how other religions and thinkers have seen the world and then to develop their own ideas and beliefs about the world. The department ensures that all students can achieve this by offering one-to-one advice through weekly help sessions and allowing students to discuss a variety of issues within the classroom. Originally, from Leicestershire, Laura is now a fully-fledged adopted Yorkshire girl. An alumni of Ratcliffe College, she went on to study History of Art at University of York. Despite falling in love with the city, her career path took her around the UK experiencing both the state sector and boarding schools. Before Silcoates, she worked at Rossall School, as an Art teacher and a boarding house mistress. She joined Silcoates in 2011 and became Head of Art in 2014. The department strongly promotes extra-curricular activity, allowing students to express themselves whilst working through the curriculum. Laura believes the benefit of a relatively small department is giving every student the best chance to reach their full potential. As well as teaching Art and Photography, Laura also runs a number of Art trips throughout the year for a variety of age groups. She also leads after school clubs to improve student’s art and photography techniques, and supports the whole school play productions by designing and creating the sets and props, as well as organising the costumes. Away from school, her enjoyment of photography marries well with a love for walking in the dales, accompanied by her husband and their crazy cockapoo Georgie. She also spends time creating her own artwork and teaching others new crafts. Pat studied Zoology at Newcastle University, specialising in the study of parasites, before joining Price Waterhouse to train to be an accountant. After four years, he decided that accountancy was not for me, he trained as a biology teacher at the University of Leeds. He taught in Keighley and Halifax before being appointed as a teacher at Silcoates in 1994. Initially, he intended to stay for three or four years but appointment as Head of Biology, and a real enjoyment of working in the school, means that he is still here. He was a keen rugby player (now retired) and has coached and refereed rugby throughout his time at Silcoates, mainly at Under 14 level but also at Under 15 and Second XV. He has been fortunate to almost circumnavigate the globe with school, with just a gap between Singapore and Sydney to fill in. This has mainly been with rugby tours but also by organising trips to the reefs and rainforests of Malaysia. He is a keen scuba diver and has enjoyed introducing Silcoates students to the fascinating underwater world in the South China Sea, Egypt and Lanzarote. Visiting the Yorkshire Dales each year with the A Level biologists, to teach about our own wildlife, is slightly less glamorous but never-the-less, still a highlight of the year. He has been a Sixth Form tutor for many years, where the challenge of helping prepare students for the next stage of their lives is very rewarding. James joined Silcoates in September 2015 and is currently in his twentieth year of teaching Economics and Business at both GCSE and A Level. 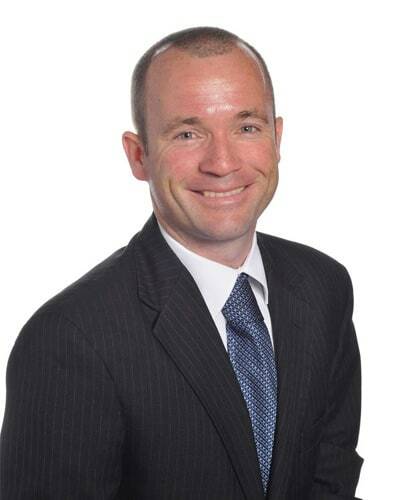 James was previously Head of Business and Economics and Deputy Head of Sixth Form in a successful school in Halifax. Prior to teaching, he worked in retail management for eight years. 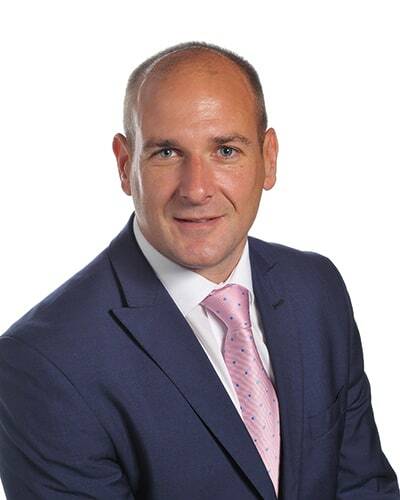 James was educated at Holmfirth High School and gained his degree in Business Studies and teaching qualification from the University of Huddersfield. In addition to teaching Business and Economics at Silcoates, James coaches the U13 cricket team and runs the Young Enterprise activity for our Year 10 students. James is married with two children, is a keen runner and cyclist and is a season ticket holder at his beloved Leeds United. 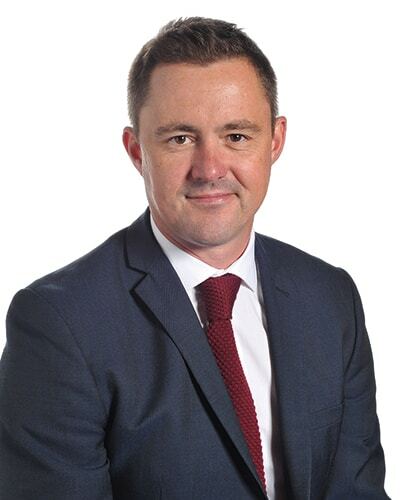 Peter joined Silcoates in September 2006, being appointed Head of Department in September 2013, after completing his PGCE at the University of Leeds. He was educated at Williamwood High School in Glasgow, after which he went to the University of Strathclyde, where he obtained a degree in Pure and Applied Chemistry. This was followed by an enjoyable twelve months working for Merck NBSC in Southampton, helping develop chemicals used in LCDs. Upon successful completion of a PhD in Organometallic Chemistry at the University of Southampton, the lure of the North was too much to ignore. In addition to teaching Chemistry and Science, Peter has taught Maths during his time at Silcoates. He continues to coach the U12 rugby team and once co-ordinated the Student Council, as well as helping with cookery club on numerous occasions. Peter is married with one young son. He enjoys running and the occasional game of golf when time allows. 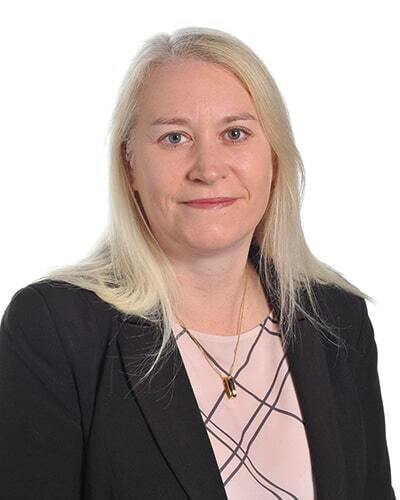 Angela joined Silcoates in 2007 after five years at Bruntcliffe High School in Morley, Leeds, followed by five years as Head of ICT at Leeds Girls’ High School. She was educated at Pudsey Grangefield School, Leeds, and obtained a degree in Computing from Huddersfield University. After getting married in 2002, she gained a Masters degree in Information Technology, Multimedia and Education from University of Leeds by attending evening school whilst in full-time employment. During the work placement year of her degree she worked at Killingbeck Hospital where she was part of a team responsible for maintaining, coding and updating the heart database. Having briefly played the clarinet in secondary school, she now plays in the school wind/concert band alongside our budding musicians. With the School’s encouragement, she achieved her Grade 6 clarinet qualification in 2015. She regularly runs long distances for charity and completed the Leeds Half Marathon in 2013, 2014 and 2016. Chris took over the leadership of the DT department in September 2002, after teaching for seven years at Ipswich School. Initially educated in Staffordshire, Chris moved south to St Albans to study design and modelmaking. After various work placements in the London area, including work on the movies ‘The Muppets Christmas Carol’, ‘Judge Dredd’ and the TV series ‘Red Dwarf’, he settled on a career in teaching and moved back up north to complete his PGCE in Manchester. 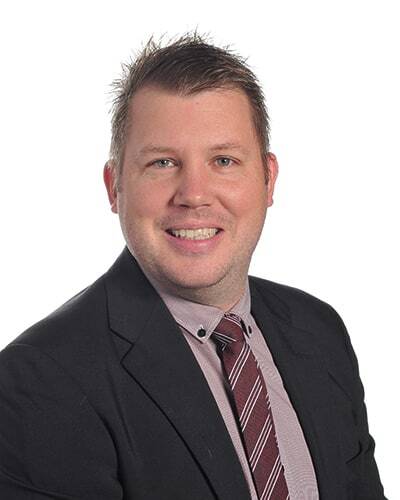 Chris has been a senior assessor for the OCR exam board for around twelve years and is responsible for moderating coursework and delivering training to other teachers around the country. He has helped to develop the new specifications and has written the textbook for the new Design and Technology GCSE. Chris is married with two children and, when he gets some free time, he likes to camp and mountain bike, often combining the two into ‘bikepacking’. He loves anything sci-fi and has built several replica props over the years. His life size Dalek replica currently lives in the DT office. Simon Wardle joined Silcoates in September 2011, becoming Head of English in 2014. Having been educated in Torquay and on the Isle of Wight, he obtained a first class degree in English from the University of Bristol, where he specialised in Shakespeare and Old English. After working for the Department for Work and Pensions, Simon then studied for a Master’s degree in English at St John’s College, Oxford, where he focused on sixteenth and seventeenth century drama. His Master’s research involved a detailed study of prayer in Shakespeare’s first cycle of history plays. Simon then returned to Devon to complete his teacher training, before moving to Yorkshire. 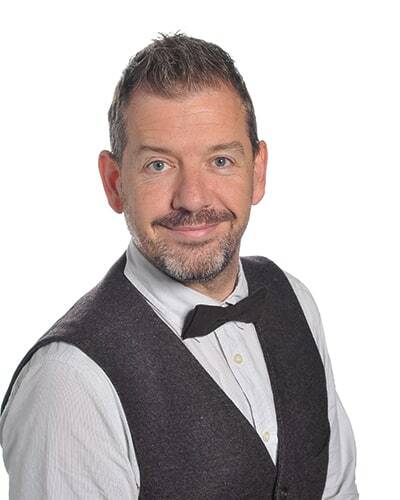 Simon has continued to develop his subject expertise in recent years by becoming an external examiner for IGCSE and A Level English, as well as writing academic articles for publication. His article about Shakespeare’s King Lear, ‘His Knights Grow Riotous’, was published in E-Magazine: The Magazine for Advanced Level English, and analysed the presentation of servants, knights and attendants. In ‘Justice and Revenge in Othello’, also published in E-Magazine, Simon interpreted Shakespeare’s play through the lens of the seventeenth century genre of ‘revenge tragedy’. In addition to teaching English, Simon runs the school’s Debating Society for Years 9, 10 and 11. 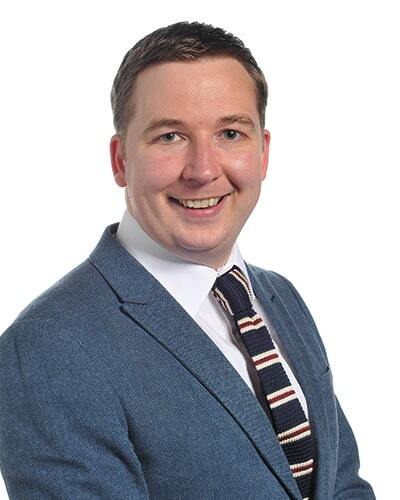 As well as school competitions, such as House Debating and House Public Speaking, Simon has coached many successful teams for local and national competitions. In particular, he has coached teams for the prestigious English Speaking Union’s Public Speaking Competition, reaching the North-East Regional Final on many occasions, as well as the National Final in Cambridge in 2016, where the team reached the last eight of over four hundred teams across the country. Ross joined Silcoates in September 2016 as Head of Geography having taught and led the subject at other schools in West Yorkshire. He was educated at Magdalen College School in Brackley, Northamptonshire and at Aberystwyth University, where he obtained a degree in Geography. During this time, he took a year out of studying to travel to Georgia, USA to teach environmental education at Rock Eagle. After university, Ross became a project manager for a community woodland group in Aberystwyth before moving to Leeds to complete a PGCE. In addition to teaching Geography, Ross coaches the U14 rugby team and also coaches junior rugby for West Leeds. Having recently put back on his boots after a long time out of the game, he also plays in the centre for Stanley Rodillians. Golf is another passion, keeping him active when the rugby season finishes and in his first year at Silcoates he set up the first Silcoates staff golf competition. Ross is married to Gillian and they have two young daughters, who are also both keen rugby players. Tom Verinder joined the History Department at Silcoates in 1995, after completing a joint degree and PGCSE at University of York. Within the department, he has taught KS3, GSCE and A Level History, specialising in The French Revolution and Napoleon topic. Tom runs the Year 11 World War One Battlefields Trip to Belgium and France and the History, Art and Photography visit to Paris in February half-term. Tom has taught A Level Government and Politics since 2005 and been Head of Department since 2009. He has run a trip to Washington DC and would like to do so in the future. Tom coached and refereed rugby at U12, U14 and 3rd Team level up until the building of the schools’ multi astroturf, at which time he switched to Hockey. He coaches U14, 2nd and 1st Team Hockey for both girls and boys. In the Summer Term, Tom helps out with the coaching of Athletics. Tom is married and his daughter is a pupil at Silcoates. Jenny joined Silcoates in September 2011 having worked previously as a teacher of History and Head of Politics in Leeds. Having been brought up and educated in Edinburgh, Jenny moved to south to study for her degree at the University of Leeds. Following this, she undertook further postgraduate study at both the University of Sheffield and the University of Warwick. In addition to leading the History Department, Jenny supports the school’s Duke of Edinburgh programme and is a qualified Gold Assessor. She is experienced in running schools trips, both in the UK and abroad, and is always looking for new ideas and destinations. She also runs the KS3 and KS4 History book club and helps to facilitate the Lessons from Auschwitz Programme in the Sixth Form. Jenny is a keen traveller and reader. She also loves to explore the outdoors when the opportunity and the weather allows! Sandra joined Silcoates in 1999 and is an experienced Modern Languages and Latin teacher. Having trained at Abbey Grange in Leeds, she then worked at Allerton Grange in Leeds, Brigshaw High School in Castleford and Woodkirk High School in Tingley. She was educated at the Grammar School in South Shields and completed both her honours degree and PGCE (with distinction) at University of Leeds. Sandra is passionate about her subjects and is very proud of the achievements of all her students. She is particularly proud that her A Level Latinists have gone on to study at Cambridge. She has been a Spencer’s Year 7 form tutor since joining Silcoates and takes pleasure in nurturing these young Silcoatians. She runs Bookworms for Years 7 through to Upper Sixth and is a keen reader herself. She also has a club for those interested in the ancient world. She has taken part in the charity trips to Goa 2012, Tanzania 2014 and Tanzania 2016 and is very much looking forward to Tanzania 2018. She has also participated in the trips to Normandy and the Ardèche and is looking forward to Ardèche 2018. Sandra has taken time out from work to travel round the world twice, once with her two young children in tow, and the family still take every opportunity to travel together. She is a keen photographer and returned to adult education in 2005/6 to sit her A Level Photography, which she passed with a Grade A. She is married with two grown-up children, both Old Silcoatians. Cale joined Silcoates for his first spell in September 2006 as an NQT. After six years, he moved on to the Mirfield Free Grammar and Sixth Form, where he enjoyed 2 years as Mathematics Intervention Coordinator for GCSE and A Level. In September 2014, he returned to Silcoates in the roll of Second in Mathematics and, in September 2017, he became the Head of Mathematics. Cale was educated at Morley High School in Leeds and at Bradford University School of Management, where he obtained a degree in Accounting and Finance. In the second year of his degree, he studied abroad at the University of Illinois in the U.S.A. and, upon returning, undertook a year in industry, working as a Management Accountant for Napp Pharmaceuticals in Cambridge. His experience of studying abroad evoked a love for travelling, something he has continued to enjoy throughout his teaching career, visiting destinations such as Hong Kong, Philippines, Vietnam, Cambodia, Myanmar, Thailand Bali, Australia and the U.S.A. In addition to teaching Maths, Cale is a Sixth Form Tutor, coaches the Senior School Cross-Country squad, co-ordinates the Sixth Form Maths Mentors, helps to run various different Maths Challenges and is a regular member of staff on the school ski trip. His most memorable moment of Silcoates to date was being part of the Tanzania 2016 team. Sharon joined Silcoates in September 2017 after working at The Mirfield Free Grammar for sixteen years. At the latter, she held various leadership posts including Head of German, Head of Modern Foreign Languages faculty, Head of Creative Arts and Languages faculty and Head of Humanities. She came into the teaching profession following six years working in the automotive industry. During her years in industry, Sharon developed her linguistic skills following higher education courses with the Institute of Linguists and the Goethe Institute. Whilst in industry, she used her German, French and Spanish on a daily basis, particularly within the spheres of production management and polymer engineering. This involved extended stays at the sister company in Bonn and travel throughout Germany. Her passion for languages lead her initially to adult education, where she believed that equipping employees with the skills to communicate with their customers and colleagues in Europe was vital. This love of teaching and learning provided the motivation for her to complete her BA (Hons) with QTS at the University of Sunderland. Sharon has a wealth of experience leading exchanges, work placements and study visits and plans to promote this here at Silcoates. 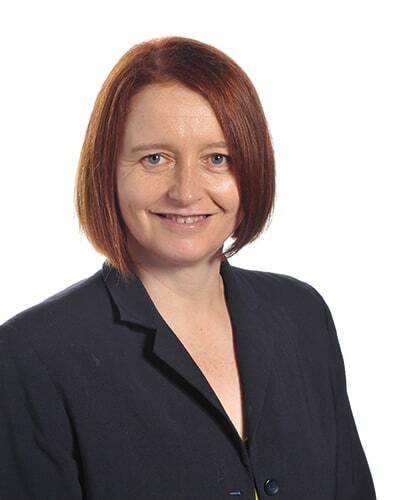 In addition to teaching MFL and involvement in MFL related extra-curricular she has experience of delivering the EPQ, is a True Colors Champion (personality profiling – linked to learning styles) and an experienced Kagan practitioner (strategies used to promote cooperation and communication). Sharon is married with a son and daughter and, when not following her son at Wakefield Triathalon Club and daughter at Wakefield Gym Club, she enjoys swimming, walking and horse-riding. Nicki joined Silcoates in September 2013, having taught Music for 6 years at Minsthorpe Community College. After Secondary Education in Canterbury, Nicki completed a degree in Music and a Post Graduate Diploma in Music Information Technology in London. She then spent many years working as an IT professional, before undertaking a PGCE to enable her to pursue a new career in education. In addition to teaching Music, Nicki coordinates instrumental and vocal tuition, delivered by our team of Visiting Music Teachers, and a wide range of co-curricular Music activities, concerts and trips. Nicki has previously played an active role in the Sixth Form as a tutor and EPQ supervisor, and she was Head of Careers for 2 years. Nicki is a pianist and cellist, playing the latter in the Huddersfield Philharmonic Orchestra. She is a keen supporter of the Arts, particularly Classical Music and Opera. She enjoys the outdoors and keeps fit through running and cycling. Holidays are often spent in the mountains – walking in the summer and skiing in the winter. Hilary joined Silcoates in September 1992, when the school first opened up its doors to girls across all ages. Prior to this, she had taught for two years at Royds School in Leeds, which was her first teaching post. Her own education was at Bury Grammar School (on the other side of the Pennines!) and then Birmingham University, where she obtained a degree in Physical Education. Her main sport was hockey in which she played for English Universities, Adel and Wakefield Hockey Clubs. She enjoyed many years playing hockey in the Yorkshire Premier League before eventually hanging up her stick a few years ago. It was then that she decided to follow her other key interest of music and now sings in the Yorkshire Philharmonic Choir. Her other sporting interests are in the outdoors in which she regularly spends times in the mountains either walking, cycling or skiing. In addition to teaching PE, Hilary runs hockey, netball, athletics and rounders teams at various ages and sings in the school choir. Hilary is also Head of Moore’s House. Brian joined Silcoates as Head of Physics in January 2015, after having taught Science, specialising in Physics, at two previous schools. Brian has first and second degrees in Electronic and Computer Engineering from Bradford University and an MA from Huddersfield University. Brian had an initial career as a software development manager, project manager and management consultant before starting a teaching career to enthuse a younger generation of technologists. In addition to teaching Science and heading the Physics department, Brian runs a lunchtime robotics club where students build their own programmable electronic circuits and robots. He also mentors a team of Sixth form students who enter the national Student Robotics competition each year. Brian can be found at most of the school productions, overseeing the sound and lighting desks run by some of our students. Every two years, in conjunction with Mrs Coll, Brian also runs the popular Middle School adventure trip to the beautiful Ardèche region in France. Brian is married with one daughter. Out of school, he enjoys kayaking and running, particularly in the Pennine hills near his home. Tom Sprott joined Silcoates in September 2009 as Head of Psychology. He was previously Head of Department at The Mirfield Free Grammar and The Grammar School at Leeds. Prior to gaining his teaching qualification, he worked in medical sales for Roche and in retail management at Boots. 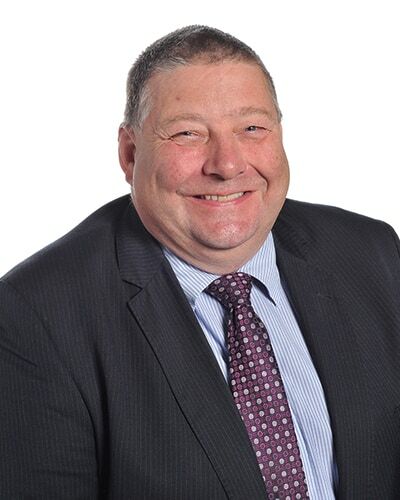 Malcolm Affleck joined Silcoates in September 2010, having taught in a variety of schools. Malcolm was educated at the Berwickshire High School in Duns and completed a Joint Honours degree in History and Philosophy at the University of Leeds. He then completed his PGCE qualification at the University of Durham before becoming a full-time teacher. He worked at The Leventhorpe School near Harlow in Essex for two years before teaching in Hong Kong for four years at Island School. He returned to the UK to start raising a family and taught for a year at Wallington County Grammar School in London before joining Silcoates. In addition to being the Head of Religious Studies at Silcoates, Malcolm also plays bassoon in Wind Band, runs both the Sixth Form Debating Society and the Upper School PPE club and helps with a variety of rugby teams. Outside of school, Malcolm is married with two young children and enjoys reading books, watching box sets of television dramas and playing computer games.